Before you can try to get anywhere with your email list you have to know what your goal is. Are you creating a list to connect with your readers / followers in a more personal way? Are you wanting to use it to build your sales funnel? Are you just wanting a way to send your blog posts via email to your readers? Knowing what your overall goal of your list is will help you create a plan of action on writing / sending your list and marketing it. If you’re all over the place with what you’re doing, it’s hard to tell people about it and get them excited enough to sign up. If you’ve already had a list that maybe hasn’t been working out or you’re trying a new direction for it, before you start making any decisions on what to do – evaluate what your previous goal has been and why it’s not been working. It might not be how you’re marketing your list, but what you’re writing and sending to your subscribers. Obvious bonus note: When you’re working on coming up with your goal, make sure you’re considering what you do best and what your readers / followers want from you. Do they want exclusive content? Your blog posts in their inbox? Details on when you’re launching a new product? 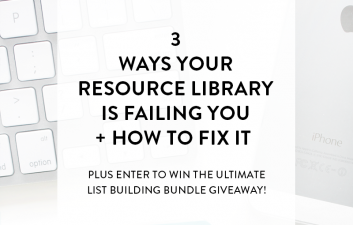 Bonus: If you’re ready to create a plan for your email list, you can download my free worksheet to help you out. 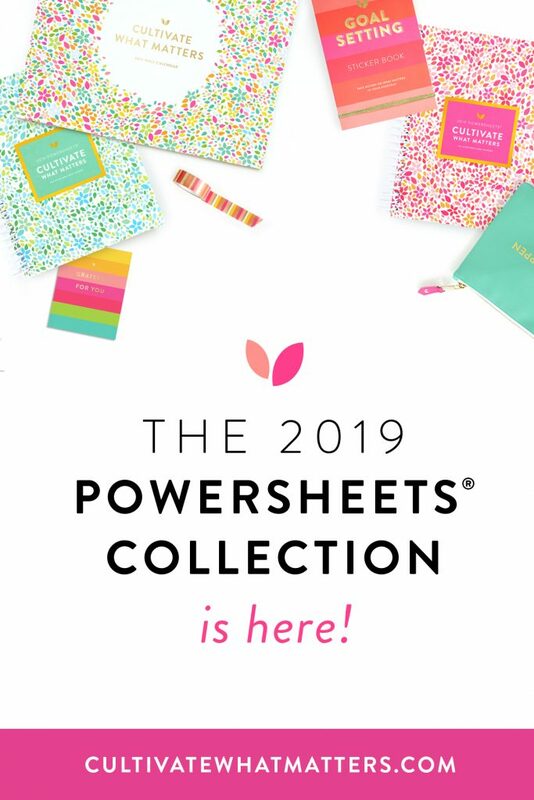 The worksheet helps you think of everything that goes into creating a detailed plan, and it comes with 7 super awesome ways to grow your list! Bonus: Not sure what template style you should use? Test out a new style for the next couple of months and see what your subscribers are responding to the most! Maybe the people on your list would like to see links to your latest blog posts? Maybe they just want the super basic, non-HTML version of your letter? 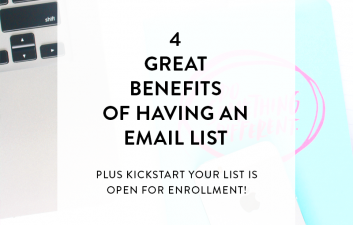 When a lot of people start their email list they create the ever popular resource list for their opt-in incentive. I know this because I was one of those people! The only problem with that is that most of us set and forget our opt-ins. 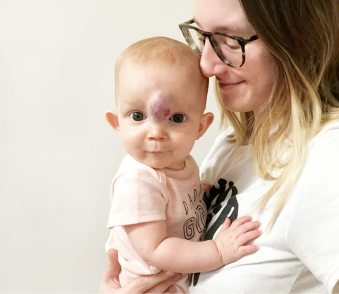 The problem with this is that when we see the number of people subscribing to our list slow down, we tend to not think about the fact that our opt-in might not be exciting for our new readers. If you know you need to create a new opt-in, but you’re not sure what to do consider compiling your top 10 posts on one subject into a free ebook or mini guide that your newsletter subscribers can download. This may not seem like it would work, but you have to remember: most people signing up for your list probably hasn’t read all of your blog posts. I don’t know about you, but I’m a lot more likely to read a lot of posts on one topic if they’re all in one place, which is why this method is so popular! Bonus: Want a calendar you can drop your ideas into for each month of the year? You can click here to download your editorial calendar printable for your email list! 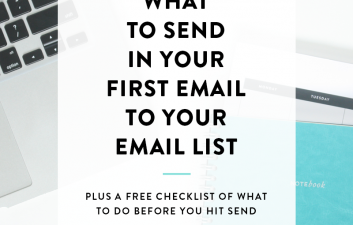 Following all of these steps for my email list this year has been a game changer for my list. I’ve seen 130% growth since the start of January, and it’s not even the end of the year yet. 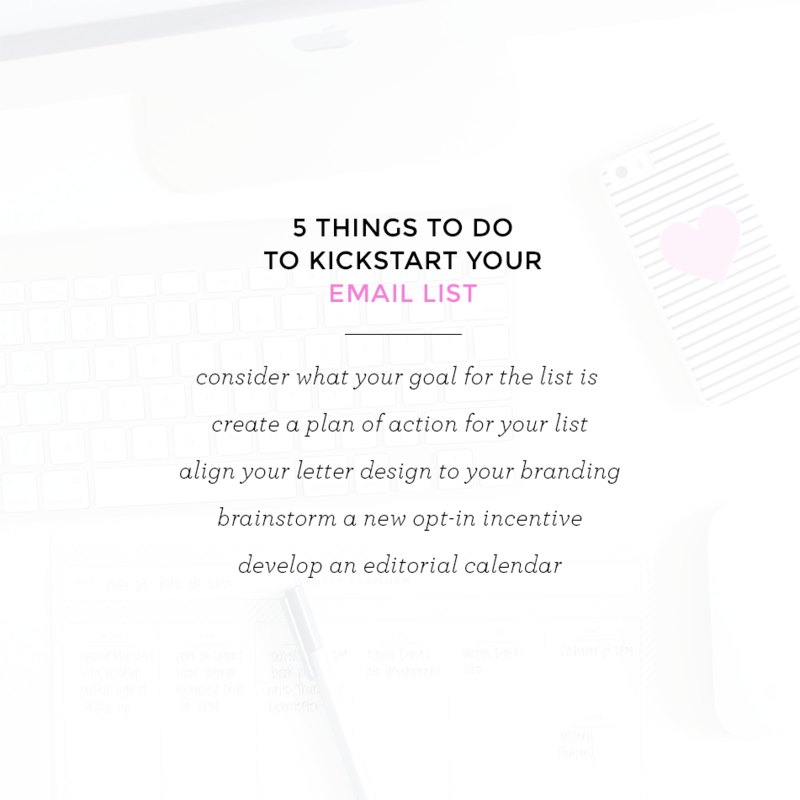 This is why I want to create for you Kickstart Your List – a 4-week email course to help you set up, create a plan and grow your email list in just one month. If you’d be interested in getting the exact steps you need to create and grow your email list click here to enter your email address, and I’ll notify you when it launches.